Colby College is pleased to welcome Brooke Carter Sukhavasi as the new Associate Director of Gift Planning. 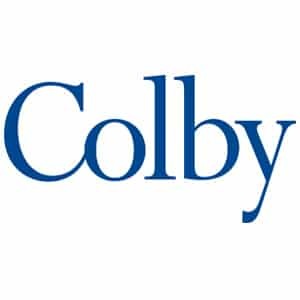 Brooke will be joining Colby amid the ambitious and transformational $750M Dare Northward campaign. Brooke comes to Colby from Milton Academy where she served as Leadership Gifts Officer. In the new role, Brooke will report to Rick Wells, Director of Gift Planning, and partner with leadership and principal gift officers to increase planned and blended gifts in support of the comprehensive campaign. In addition, Brooke will also manage a robust, nationwide portfolio of individual donors and prospects, and assist in expanding membership of the Willows Society, a group of those who have provided for Colby in their estate plans. Brooke brings with her over 15 years of professional experience, 8 years of which have been dedicated to frontline fundraising for educational institutions. Prior to her development career, Brooke held various sales positions in commercial real estate and consumer retail. She began her involvement in the development world through her work with Action for Aidan as a Co-chair and Organizer and has continued her volunteer work with the organization for the past 8 years. Serving initially as a Gift Planning Officer and later promoted to the Assistant Director of Gift Planning at Northeastern University, Brooke contributed significantly to the funding and leadership of the College of Engineering Development and major gifts team. Most recently, as a Leadership Gifts Officer at Milton Academy, Brooke staffed the West coast region and managed a diverse portfolio of donors and assisted in developing complex alumni and parent-driven donor strategies. Brooke’s unique career trajectory allows her to bring to Colby expertise in relationship building across a variety of industries, and valuable experience developing donor strategies for educational institutions.